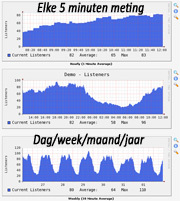 Why Icecast and not SHOUTcast? 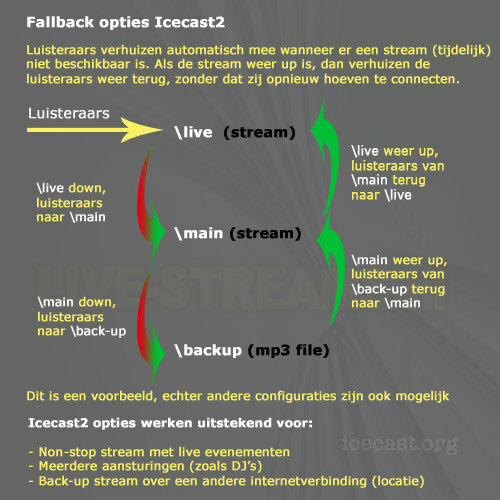 Why choose live-streams for Icecast v2 hosting? 24/7 emergency number and during office hours technicians are present in DC. Your listeners don't have to download any plug-in to listen to our streams. Minimum 20 downloads per stream. Prices are per month and exclude VAT. Invoicing for streaming is a month in advance. If the total streaming amount is under 10 € per month it will be charged automatically on a two-monthly basis. You can terminate the contract at any time after the first 2 months. You are solely responsible for the content of your stream and you must be responsible for notifying Buma Stemra and Sena. Last updated by M. van Dop at 18 July 2018 .